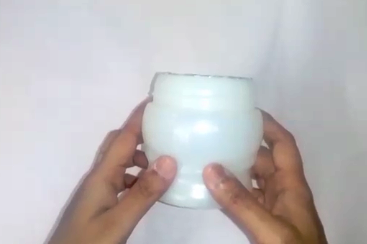 Today's post is yet another DIY that I did recently. It is a recycled craft idea where I converted a health drink mix bottle into a holder. 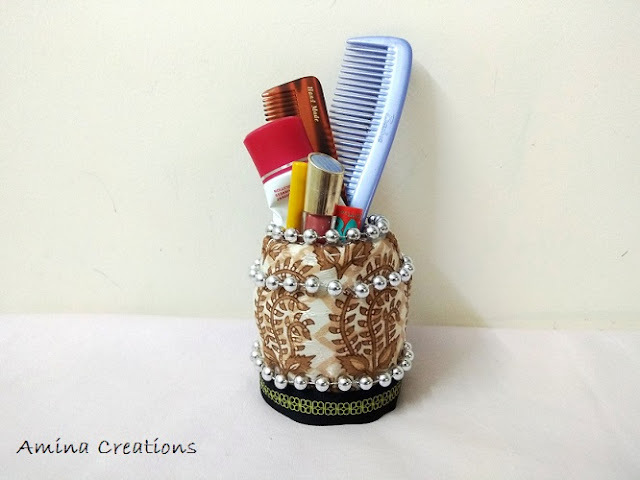 This holder is a multipurpose holder where in you can place your combs, pencils, markers, lipsticks, etc or can also be used as a flower vase. 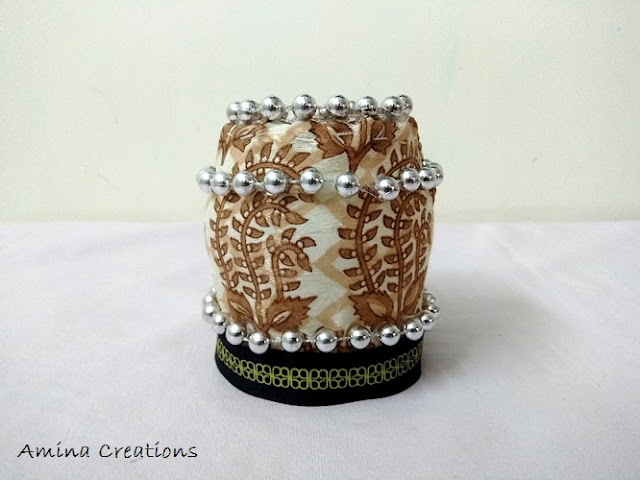 I have used cloth, lace, glue gun and beads to make this holder/ stand. 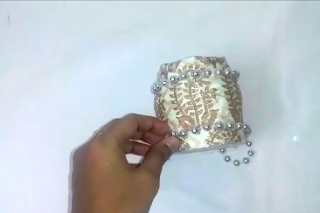 Read on to see how I made this holder with a pictorial and DIY video. Take out the bottle and remove the wrapper. I have used a small plastic Bournvita bottle and removed its wrapper. 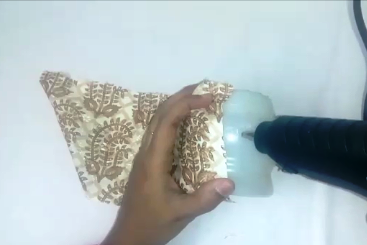 Take a piece of cloth and cover completely with glue gun. You can also use fevikwik. Stick a bead lace using glue gun. Stick a lace at the bottom, covering the base completely. The DIY holder/ stand is now ready. Use this to place your beauty accessories, stationaries, etc. 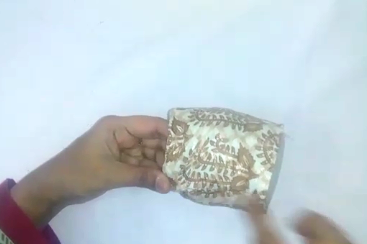 I have also shared a video of how to make this holder below. Do check out the video, and if you like it, please subscribe to my channel and press the bell icon for notifications on new videos. If you like this post please post a comment in the comment section below and share this post through your social media channels. Follow my blog on Facebook, Twitter, Instagram and Google plus for updates on new posts.